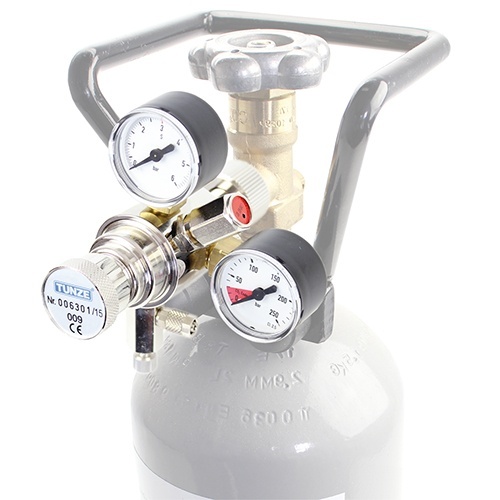 Precision device with fine adjustment for standard CO2 cylinders, thread in keeping with German standard DIN 477 (US version with CGA 320 thread). To be mounted without tools; precise adjustment; two pressure gauges; pressure-relief valve. Made in Germany.